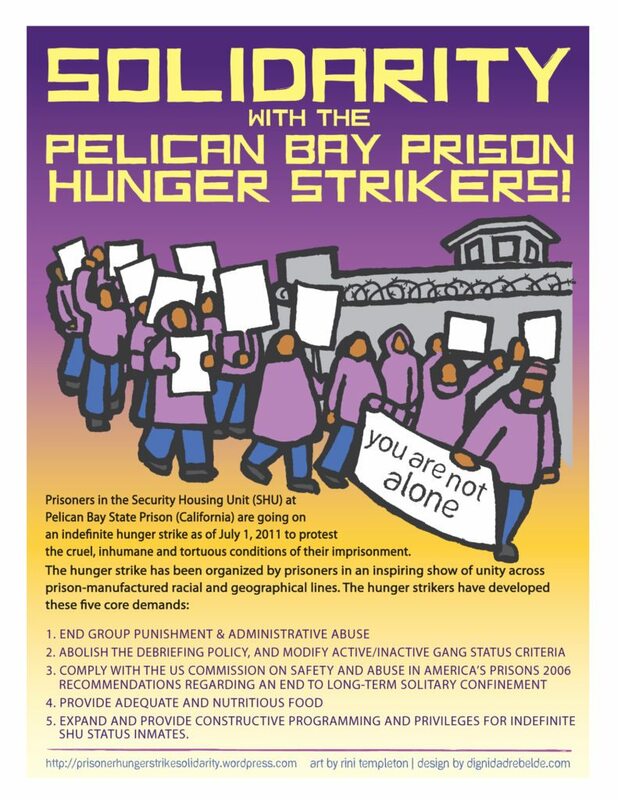 Tacoma, WA, May 5, 2014 – The wave of hunger strikes that first began on March 7th at the Northwest Detention Center (NWDC), a federal facility owned by the GEO Group and under the authority of Immigration and Customs Enforcement (ICE), has concluded. In a communication dated May 1st, the newly formed “Collective of NWDC-T Detainees,” informed their supporters that they have completed this stage of their struggle. Full text of statement, with Spanish-language original, is below; pdf of original available upon request. The letter, titled, “Assessment of one phase of struggle” documents the retaliation suffered by the peaceful whistle-blowing hunger strikers during the March 27th wave of the strike. Describing “rigged hearings under false accusations with no respect for due process” and “sentences of 2 to 30 days” of solitary confinement suffered by the hunger strikers, the Collective also affirms their commitment to their initial demands, including a call for an end to deportations and for bold action by President Obama. Among the strike’s most important victories was an end to the silence surrounding the conditions of detention and deportation in this corner of the country. Despite being located in a little-trafficked industrial zone, the strike drew hundreds of supporters to multiple rallies outside the prison and inspired a similar action in a GEO Group immigrant detention facility in Conroe, Texas. Ernestina Hernandez, the wife of one of the men deported from Conroe for engaging in the hunger strike, began a hunger strike of her own outside the gates of the White House, bringing the peaceful protest tactic to the President’s front door. Throughout the strike, ICE and GEO Group abuses continued to come to light. Among these are serious workplace injuries suffered by detainees laboring for $1/day; possibly hundreds of thousands of dollars of unaccounted telephone funds held back by the facility upon detainees’ deportations; and the use of solitary confinement and prison transfers in response to detainees’ peaceful protest. Also spotlighted were organizations that profit from the detention center. The Bill and Melinda Gates Foundation, headquartered in Seattle, has become a target of hunger-strike supporters and others, due to their investment in GEO Group, and pressure continues for them to divest their holdings in the private prison company. While ICE remains unresponsive to many of the hunger strikers’ demands, others are taking action as a result of the strike. Following a visit to the facility, where he met privately with hunger strikers and listened to their stories and demands, U.S. Representative Adam Smith drafted legislation, set to be introduced this week, which aims to create statutory standards for the treatment of immigrant detainees. Today, May 1st, a 30-day hunger strike came to a conclusion. 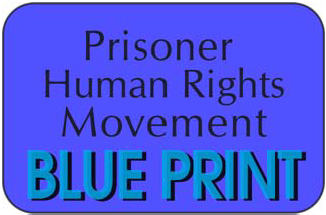 It had a prelude of 72 hours of fasting begun on March 27th, occurring in a climate of persecution, harassment and application of disciplinary punishments, invented and prefabricated by personnel from GEO (the private company that runs the Northwest Detention Center – Tacoma “NWDC – T”), with the goal of stopping us from adding our voice to the voice of those on the outside clamoring for Not1More, stop deportations, end the destruction of families, deferred action for all, yes to immigration reform; despite suffering through rigged “hearings” under false accusations, with no respect for due process, taking out of context the actions of the “accused,” impeding free exercise of ideas and the exercise of freedom of expression, as well as the right to information. In an atmosphere of voluntary and strictly peaceful action, they unleashed a chain of “disciplinary sanctions,” applying isolation and segregation to the participants who were on rolling fasts and hunger strikes, from March 24 until April 2nd, with an eye towards the great action on April 5th. These resulted in sentences of 2 to 30 days of punishment, with which they attempted and are attempting to discourage our unity in becoming a single voice regardless of whether we are on the inside or on the outside. With certainty we affirm that they did not succeed in containing and silencing the voice of those on the inside, the voice of the detained. They did not succeed in hijacking our emotions or our disposition to struggle despite drastically limiting our rights and falsely accusing us of insurrection. The campaign to marginalize us carried out by a cruel and unscrupulous bureaucracy that represents immoral and indecent interests cannot contain a just struggle that uses peaceful methods to make itself heard. The fortifications, the walls that attempted to contain our participation have cracked and with ever growing unity we will finish knocking them down; the voice that initially struggled to filter out is now heard with greater firmness and clarity. With dignity, with self-respect, we are honored to signal that we are also present and that we add ourselves to the work yet to come until we succeed in NOT ONE MORE person added to the deportation statistics, and NOT ONE MORE FAMILY destroyed, and NOT ONE MORE IMMIGRANT with their American dream cut short and treated like a second class citizen. Our voice is added to the single voice that is part of the echo that is heard in the White House and in Capitol Hill. To those who join forces with this struggle today. To those who cry out in different plazas and streets today. To those who have opened their hearts to a just cause. To those who add their pen, their voice, their image, their untiring support, their now inseparable company. To the girl, the boys, and the youth who exercise solidarity and love of their peers. TO ALL OF YOU THANK YOU FOR NOT LEAVING US ALONE. We will not let you down and we will carry out our contribution so that we signal to history, as many millions of immigrants have done before, that we too added to the strength and greatness of this GREAT COUNTRY. We reiterate to Mr. President Barack Obama that he be bold and honor his word. We send a signal to Congress to rise to the challenge of what is justly and morally asked of them. NOT ONE MORE! YES WE CAN! Hoy 1o de mayo se concluye una huelga de hambre de 30 días, con un preludio de 72 hrs de ayuno iniciado el 27 de marzo y que en un clima de persecución, hostigamiento y aplicación de correctivos disciplinarios, inventados y prefabricados por parte del persona de GEO (compañía de la iniciativa privada que administra el Northwest Detention Center – Tacoma “NWDC –T”), en un afán de impedir que sumemos nuestra voz a la voz de los que afuera claman Ni1Mas, alto a las deportaciones, no a la destrucción de familias, acción diferida para todos, si a la reforma migratoria; a pesar de padecer “audiencias” amañadas bajo acusaciones falsas, sin respetar el debido proceso, sacando de contexto acciones de los “acusados”, impidiendo la libre asociación de ideas y el ejercicio de la libertad de expresión así como el derecho a la información, ello en un ambiente personal voluntario y estrictamente pacifico, desencadenaron una ola de “sanciones disciplinarias” aplicando aislamiento y segregación a participantes en ayunos y huelgas de hambre, escalonadas del 24 de marzo al 2 de abril, con miras al gran acto del 5 de abril, y que implicaron sentencias de 2 a 30 días de castigo, que procuraban y procuran desalentar nuestra integración para volvernos una sola voz, sin importar si estamos afuera o adentro; con certeza afirmamos que no lograron contener y acallar, la voz de los de adentro, la voz de los detenidos, no lograron confiscar nuestro sentimiento, ni disposición de lucha a pesar de limitar drásticamente nuestros derechos acusándonos falsamente de sedición, la campaña para marginarnos por parte de una burocracia cruel e inescrupulosa que representa interés inmorales, indecentes no puede contra una lucha justa y que utiliza medios pacíficos para hacerse oír. Los muros, las paredes que pretendían contener nuestra participación se han agrietado y con una integración cada vez mayor terminaremos derrumbarles; la voz que inicialmente costo trabajo filtrar hoy se escucha con mayor firmeza y claridad. Con dignidad, con orgullo nos honramos en señalar que también estamos presentes que nos sumamos a las tareas por venir hasta lograr que NI UNO MAS forme parte de la estadística de deportados, que NI UNA FAMILIA MAS sea destruida, que NI UN INMIGRANTE MAS se le trunque el sueño americano y que sea tratado como ciudadano de segunda. Nuestra voz se ha sumado a una sola voz y es parte del eco que se escucha en la Casa Blanca y el Capitolio. A los que hoy se hermanan con esta lucha. A las que hoy claman es distintas plazas y calles. A las y los que han abierto su corazón a una causa justa. A las niñas, niños y jóvenes que se ejercitan en la solidaridad y amor a su semejantes. A TODOS USTEDES GRACIAS POR NO DEJARNOS SOLOS. No los vamos a defraudar y cumpliremos con nuestra aportación para que a la historia señale como tantos millones de inmigrantes lo han hecho que también colaboramos a la fortaleza y grandeza de este GRAN PAIS. Le reiteramos al Sr. Presidente Barack Obama sea audaz y honre su palabra. Le señalamos al Congreso que esté a la altura de lo que justa y moralmente se le reclama. NI UNO MAS! SI SE PUEDE!